Millions of Americans work full-time, year-round, for poverty-level wages. Barbara Ehrenreich decided to join them, inspired in part by the rhetoric surrounding welfare reform, which promised that any job equals a better life. But how can anyone survive, let alone prosper, on six to seven dollars an hour? To find out, Ehrenreich moved from Florida to Maine to Minnesota, working as a waitress, hotel maid, house cleaner, nursing home aid and Wal-Mart salesperson. “Nickel and Dimed” reveals low-wage America in all its tenacity, anxiety and surprising generosity–a land of “big box” stores, fast food and a thousand desperate stratagems for survival. Acclaimed for its insight, humor and passion, “Nickel and Dimed” was on The New York Times bestseller list for nine weeks. 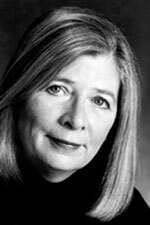 Barbara Ehrenreich is the author of 12 books, including the New York Times bestseller, “The Worst Years of Our Lives,” as well as “Blood Rites” and “Fear of Falling,” which was nominated for a National Book Critics Circle Award. A frequent contributor to Time, Harper’s Magazine, The New Republic, and The Nation, she lives near Key West, Florida.